The Bogs® Classic High is the perfect boot to handle anything your day may bring. 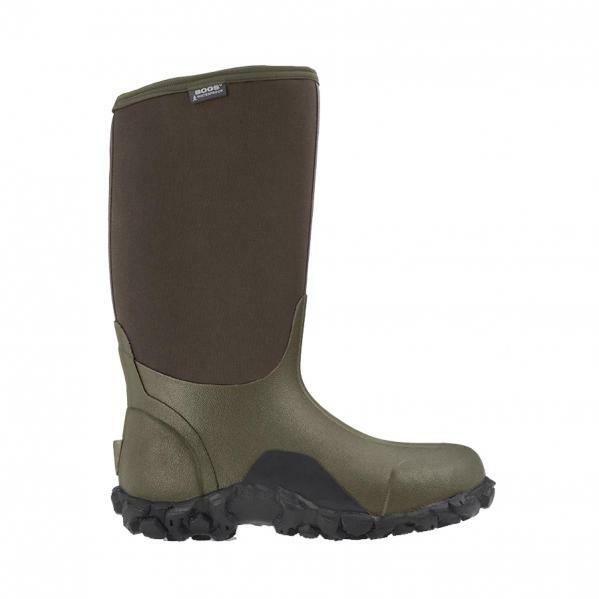 Built with durable rubber to keep you dry and comfortable and to withstand the harshest conditions. Constructed with 7mm four way stretch Neo-Tech™ insulation. Comfort rated to -40˚F. Contour fit for maximum support and movement and a non-slip outsole to deliver excellent traction on any surface. Meet the non-camo twin brother of our favorite boot on the market! New pattern, same great boot!